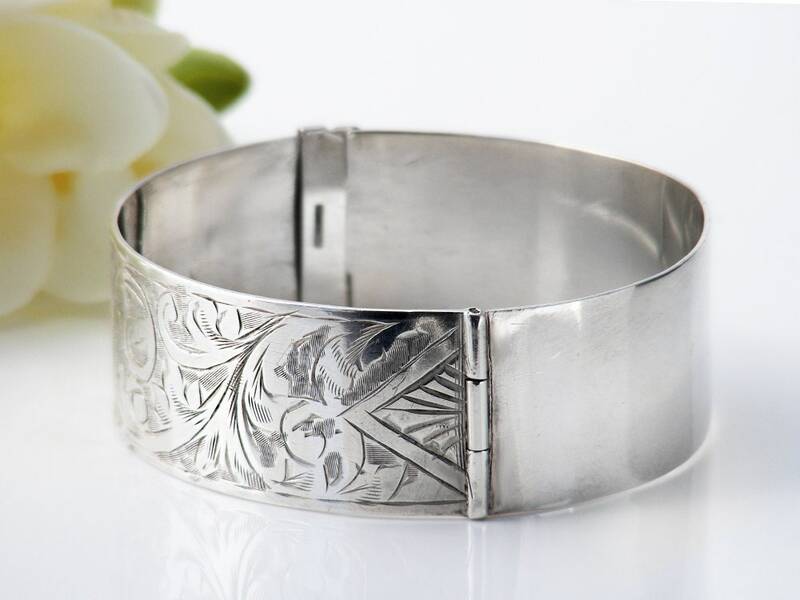 An exceptionally elegant English sterling silver cuff bracelet from the Edwardian era, 105 years of age and timelessly lovely. This is a true beauty. 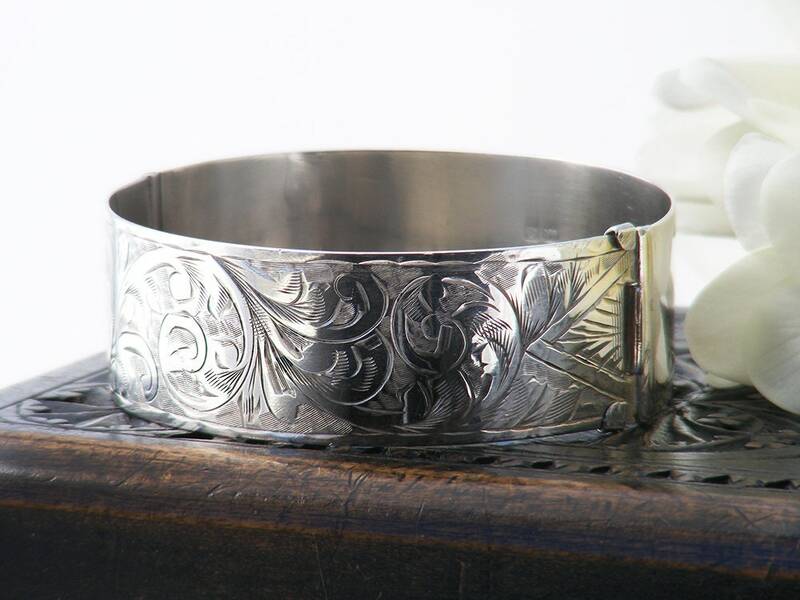 The front of the bracelet has a pattern of acanthus flourishes, the back of the cuff is plain, smooth and lovely to handle. 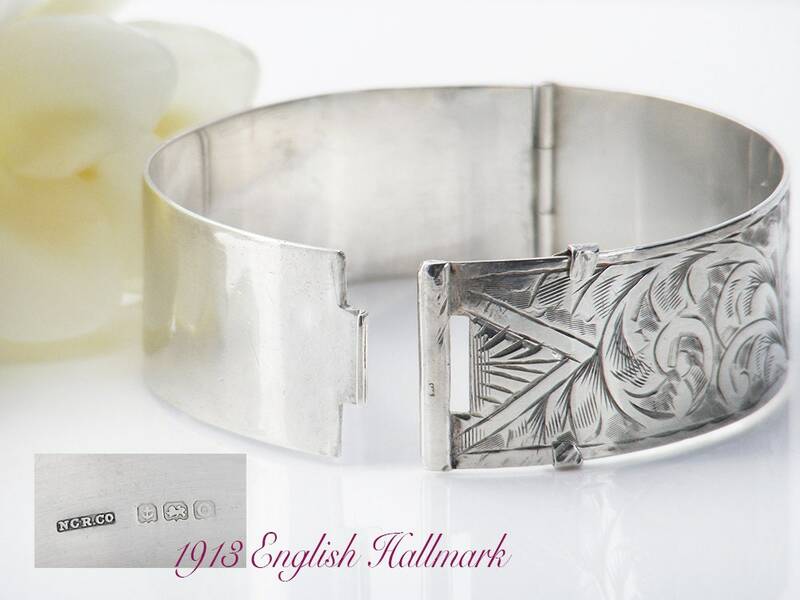 The cuff has a full hallmark for England, the City of Birmingham and the date stamp for 1913. 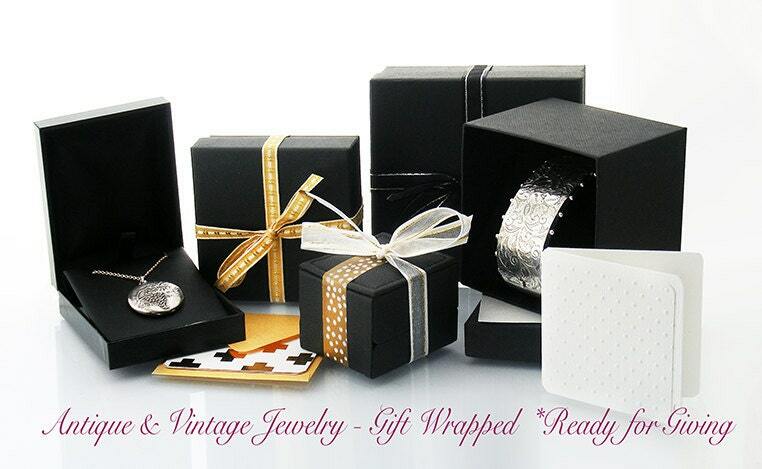 Both halves of the bracelet are hallmarked, a sign of good quality. The maker's mark 'NCR.Co' is also present, this is the mark of silversmiths N.C. Reading & Co. 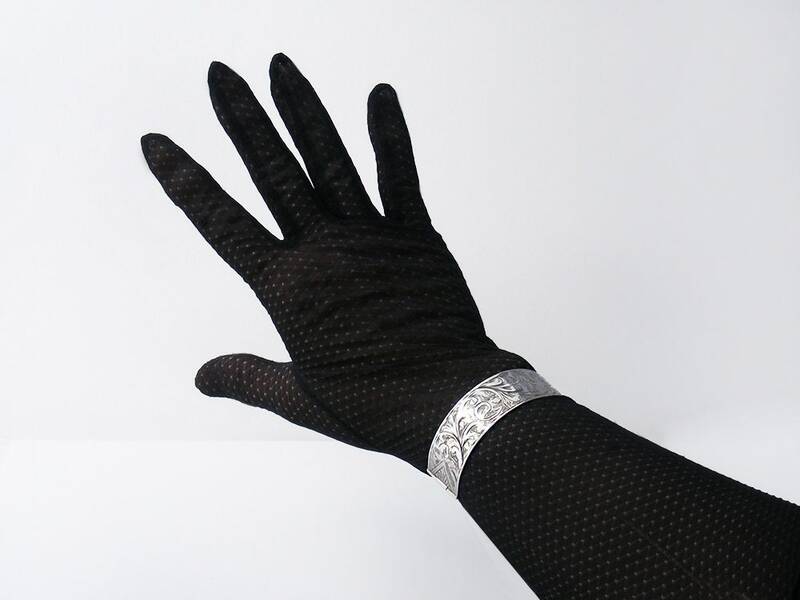 The wide hinged bangle has a clip clasp that clicks firmly into position and has an interesting little band as extra security - this slides over the closed clasp to keep it secure. 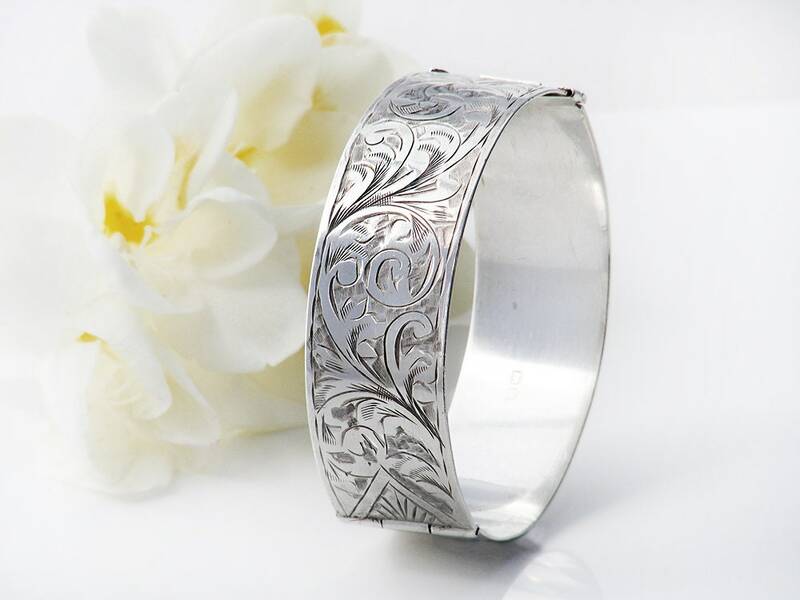 Size: an average wrist size, the inner circumference is 6.75 inches or 17.15cm. Fits a 6 - 6.5 inch wrist perfectly. Inner diameters: 53 x 58mm (oval, elliptical in shape, designed and shaped to fit the wrist nicely and not turn). Condition: Excellent. Only very minor surface wear to the back, no dings or nasty scratches; this bracelet is well made with a beautiful hinge and simple clasp. It has been very well cared for. A fine Edwardian era bracelet that is beautifully made, the bracelet would make the perfect 'something old' for a bride.